Some of you may have read my previous post about my new business venture Face Up Beauty UK. If you haven’t had a read then go have a look as I have some great exciting opportunities for bloggers to get involved. But in this post I wanted to focus on one of our products and treatments in particular and give you the full run down! Introducing the BYAS Move Eye Lifter. The BYAS Move Eye Lifter is the answer to all you under eye problems! The patented technology combines the use of Hyaluronic Acid and Iontophoresis to instantly revitalise and fresh your eye area as banish all them fine lines and wrinkles that may be giving your age away. This handy portable devise is soon to be the newest beauty must have! Let’s think about it, over recent years you can see a huge influx in the use of technology in the beauty industry and better still this technology is now being available for you to use in your very own home. With amazing home laser hair removal machines and electronic facial cleansing brushes becoming the new craze there is no reason you need to fork out crazy prices to get the job done in the salon when you can do it in your own home. 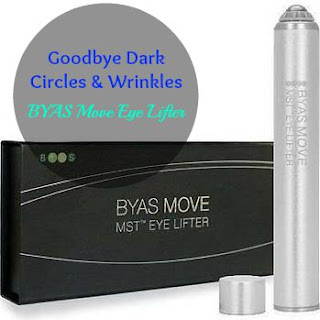 Anti-Aging and Skin Brightening is no exception and The BYAS Move Eye Lifter is the only device on the market to incorporate Iontophoresis technology and Hyaluronic acid to penetrate deep into your skin and help you naturally produce more and more collagen to keep your youthful look. How and Why does our skin age? 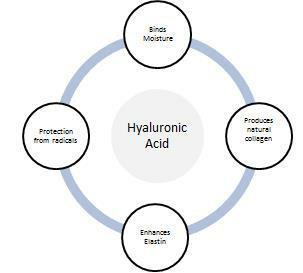 Hyaluronic acid is an essential component of human skin. You can think of it like a sponge, it works to bind moisture in your face and produce your skin’s own natural collagen and elastin which allows your skin to plump up and create a more youthful appearance. 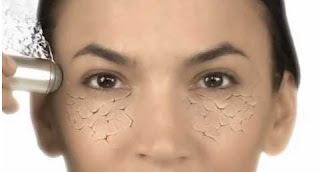 As we age, our natural production of hyaluronic acid begins to slow down, reducing natural elasticity and moisture and in turn our skin is less able to combat everyday radicals formed by smoking, stress, sun exposure and alcohol consumption. This is how them dreaded fine lines, wrinkles and puffiness form underneath our eyes. Many of you must have already heard about the wonders Hyaluronic Acid can do for your skin and appearance and is now a bestseller in local drugstores but the difference here is we don’t just want the serum sitting on the surface of our skin. We want it deep into the skin’s layer where it can really get to work. This is where the Electronic Iontophoresis come to play. By adding the safe, harmless Micro Vibrations to your skin you can get long lasting, incredible results. If you’re anything like me and of similar age you are probably wondering why you need to worry about the reduction of collagen already. Don’t worry I thought the same thing too.. But let’s be honest I think dark circles don’t do age discrimination and prevention is always better than a cure. Don’t just take my word for it (even though I am a constant user and huge fan of the product myself) you can view some of the results here. I know this is sounding pretty sale-y but this is a product we truly believe in and something I think my readers will be a huge fan of too. It is soon to be the next best beauty technology on the market! If you would like more information about the product, our services and how to get involved please contact me at faceupbeautyuk@gmail.com or through my personal twitter. I look forward to hearing from you, we have had such a great reception from some fellow bloggers already but would love to hear from some more of you!